It's been a while since we've posted anything so If I'm breaking a 6+ month posting hiatus, it better be for something good. 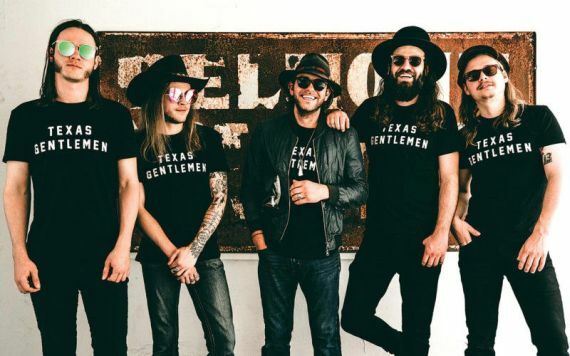 The story of The Texas Gentlemen is an interesting one. They're a rotating group of musicians that got their start as the backing band for artists like Leon Bridges & Nikki Lane. To record their debut album, TX Jelly, they headed to Fame Studios in Muscle Shoals and the magic of that studio seeped into every track on their record. Every song on the album sounds like it comes from a different genre: Country, Rock, R&B, Soul, Gospel, & Folk. Yet, the album doesn't feel like just a groups of songs, there is a cohesion to it that you wouldn't expect from such a varied bunch of songs. This album is probably the most fun you'll have with a record this year and it's easily going to find it's way into my top 10 albums of the year. Below is the video for one of my favorite tracks on the record: 'Bondurant Woman'. I feel in love with the song the first time I heard it since it reminded me of one of my favorite groups of all-time (with a similar background story as well) in The Band. Check out the video below and come see The Texas Gentlemen open up for Paul Cauthen at the Record Bar in Kansas City tomorrow night.